(1) Provide students a comprehensive understanding of the market for legal services as it transitions to a global legal supply chain in the wake of deregulation, economic pressures, and technological innovation. (2) Prepare students to become practice-ready entrepreneurial lawyers who can leverage information technology in order to operate more efficiently and thereby attract (and retain) clients. (3) Inspire students to think broadly about future delivery of legal representation and access to justice by exposing them to the innovative legal service delivery models and platforms of the present (and not-too-distant future). Legal Information Engineering & Technology – The increasing role of legal information technology in the law practice of today (and the not too distant future) will be highlighted in this course. Students will be exposed to a number of emerging approaches in legal automation, process engineering, informatics / ‘soft’ artificial intelligence (e-discovery, automated document generation), supply chain management, and quantitative legal prediction. 21st Century Law Practice – This course will provide students with an overview of the practice challenges facing lawyers in the 21st century, including economic pressures, technological advancements, increased globalization, international deregulation, and access to justice concerns (for example, reading the work of Richard Susskind, Thomas Morgan, and others). Building upon this background, the course will then explore a set of case studies to examine a variety of innovative new legal services delivery mechanisms and businesses in the US and the UK, such as Axiom, LawVest, Lawyers2You, LegalZoom, QualitySolicitors, Rocket Lawyer and others that have been created in anticipation of (or in some cases in response to) these practice challenges. Students will critically assess these legal service providers, and will reflect upon how lawyers and regulators should respond. The Legal Services Act and UK Deregulation – Students will study the history and impact of the Legal Services Act and deregulation of the profession in the UK with a focus on how the resulting innovations (both regulatory changes and new legal services delivery mechanisms that follow) might be exported to the United States. Also encompassed in this course will be a comparative overview of American and British law governing lawyers and law practice, along with emphasis on globalization pressures faced by the legal profession. NY Times Labs Presents – Magic Mirror – One of the Best Inventions of 2011? 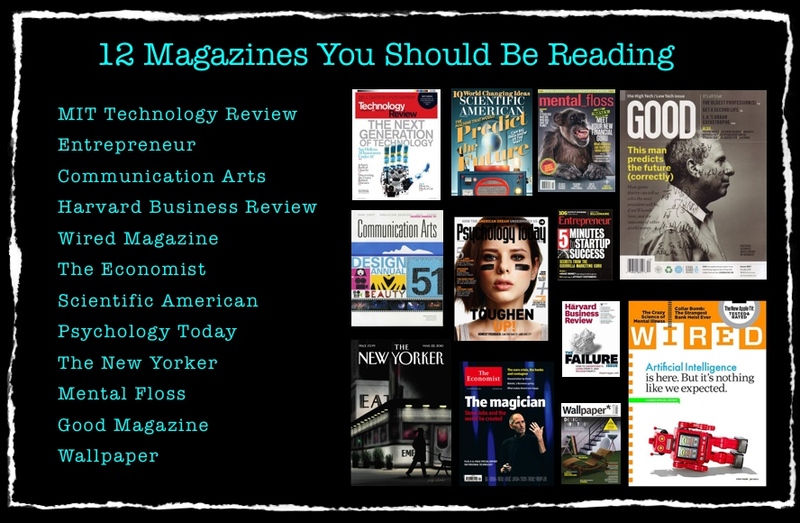 Author Daniel Martin KatzPosted on November 29, 2011 Tags innovation, the future, visualization1 Comment on NY Times Labs Presents – Magic Mirror – One of the Best Inventions of 2011? I am a bit torn by all of this. In general, I think the NY Times should be commended for its decision to highlight the problems in the legal education market. While I could flag disagreement with some aspects of their coverage, the basic thrust is so true – major reform of American Legal Education is clearly needed. However, what precise reform should be adopted is where the argument really begins. Here is the iron rule of the law school reform business — platitudes abound and specific proposals are few and far between. When I talk to folks in the legal academy about the state of our business – typically, the response is something akin to this “you know Dan – if only we taught more of my subject area – our students would be much better off.” Seriously, the crazy thing is that folks make the subject area superiority claim almost independent of the subject matter they teach (for example – even Con Law profs will sometimes do this). To be fair, I am of course no different in offering my specific reform proposal (but I have the virtue of not entirely engaging in data free speculation). It would be hard for me to disagree with any of these (particularly the last one). However, I would add one very large missing element – technology. Where is the discussion of technology? Legal informatics, legal information engineering, the global legal supply chain, soft AI, etc. It is barely mentioned in the Segal article and it is barely mentioned in the NY Times editorial. It is actually the most important thing on the list (because it touches nearly every practice area) and it will define the future of the legal employment market. The first step to recovery is admitting that you have a problem. So, it is time for the academy to look in the mirror and admit it – we have a problem. The return on investment (ROI) of a J.D. is waning and reform is needed before the system collapses (via the reform in student loan market). The ROI is not really within the control of any particular institution. What institutions control is the curriculum and it is fair to say that the curriculum offered at most institutions is in need of a serious reboot. Larry Ribstein has appropriately described the American Legal Academy as a hothouse. I could have not said it better. Indeed, some strange plants have grown in here (with the insulation from market pressures). Those plants could not survive if subjected to a well functioning market for legal education. Lets just get this out the way right now – there is less humanities in law’s future. I have nothing against the humanities but this is no longer a humanities age (other than this). It is an age of technology. Law school needs to transition from its liberal arts predisposition to a polytechnic research and teaching operation. From both a scholarship and training perspective, it is time to get serious about science, computation, data analytics and technology. 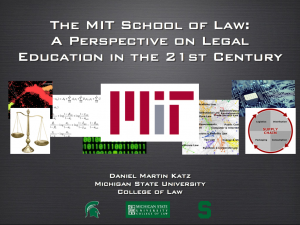 I have argued that the arbitrage opportunity in the market for legal education is for an institution(s) the move toward an “MIT School of Law.” An MIT style institution would do just fine in the market for legal education. If you are an employer – hiring a lawyer for the 21st Century – please ask yourself this question: do you want a student from an MIT Style institution or some sort of liberal arts school? Of course, the market will ultimately decide this question — but I would place my bet with MIT. Lets be clear about one other thing – better training is not likely to create more overall law jobs. If anything the future of law is going to have fewer (and very different lawyers). To better serve our students, we need real competition between schools (instead of blind mimicry of HLS/YLS). The “T14 schools” and the T14 wannabes suffer from the market dominance problem – they are typically too conservative to engage in serious innovation. Other than George Mason (back in the day) there are very few institutions they have played — Moneyball: The Law School Edition. There are notable exceptions but it difficult for those who were rewarded from a particular ordering to then turn around and see the illegitimacy / temporal properites of that ordering. Students do carry some of the blame here. They are far from realistic about their position in the market for legal services and thus pursue coursework and training for which there is limited (zero) labor market payoffs. This happens at every institution, every year and has been going on for a very long time. I know a number folks at various schools that actually offer really good elective courses. You know – the types of elective courses that would allow students to gain useful skills. Many of them have difficulty filling their classes. The “I did not go to Law School to do Math” pathology runs deep. Given the cost of tuition and the rapidly declining state of legal employment market – the cost of this myopic behavior has become extremely high. The open question for each institution is how much paternalism they should impose to help students (who are often operating at a serious information deficit) make choices that serve their long term interests? While in general I appreciate the rejoinder offered by Brian Leiter, he is slightly incorrect about the situation in the UK. There is an employment crisis there as well. Indeed, for a glimpse of the problem, please check out this past Friday November 25, 2011 Column “Law Graduates Face a Bleak Future at the Bar” from The Guardian. Actually, it worth noting that a similar crisis exists in Canada — see Law Profession Faces an ‘Articling Crisis’ from The Globe and Mail. The UK and Canada are in a bad spot (although the regulatory changes in the UK may help them recover quicker). This is not exclusively legal education’s fault as some of this is certainly the recession. The issue is both (1) the recession (hopefully short term) and (2) technology (the long term problem). 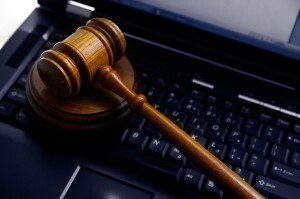 Law schools should pivot to teach their students to understand the technology infused law business of the 21st Century. Technology is not everything but it is likely over the coming decades to seriously redefine a non-trivial # of the current law jobs . I am happy to be proven wrong (seriously – it would make my life much easier) but I would argue that the our method of training is in part responsible for the depth of the problem we face. While the use of case method has declined over the past decades, it still holds significant sway over the pedagogy of the modern legal academy. From the NY Times, “Even after the economy recovers, the outsourcing of legal work from law firms and corporate counsel offices to lower-fee operations overseas is likely to continue.” This is true. We have a global legal supply chain and many of the law jobs of the future will involve managing that supply chain and contributing value to that supply chain. There is a wide variety of interdisciplinary work in the legal academy – from the über serious to the downright nonsensical. The serious stuff and serious people will ultimately connect what the market values. I stayed out of the Segal NY Times piece largely because I felt that others had offered an adequate response to some of the problems associated with the article. However, I do want to make one important point about the citation distribution that he briefly discusses in the article. Thomas Smith’s 2007 Article “The Web of the Law” is an instant classic. It was way ahead of its time and was probably missed by many law review editors and law professors because it was so novel (see also the math aversion discussion above). Yes, it turns out that citations to law reviews roughly follow a power law distribution (physics folks please do not yell at me – it is power law with a cutoff / extremely skewed / roughly 2< α <3). You know what else follows a power law or other related distribution – tons of things. 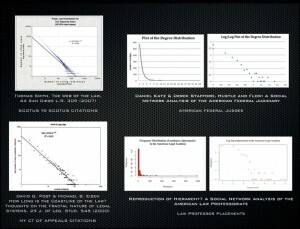 In turns out, there is absolutely NOTHING unique of the patterns of citation that we observe in law. It is a pattern that is ubiquitous to a wide class of social and physical phenomena. Thus, the idea that many things have not been heavily cited is not a particularly useful point in an argument about the value or non-value of legal scholarship. 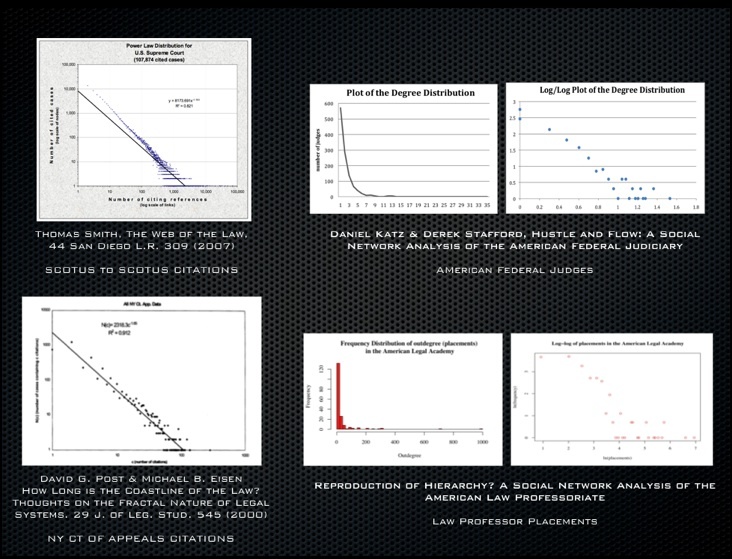 Please see my discussion of power laws and positive legal theory, etc. in these posts (here) (here) and (here). See also my former Professor Lada Adamic’s tutorial (here). 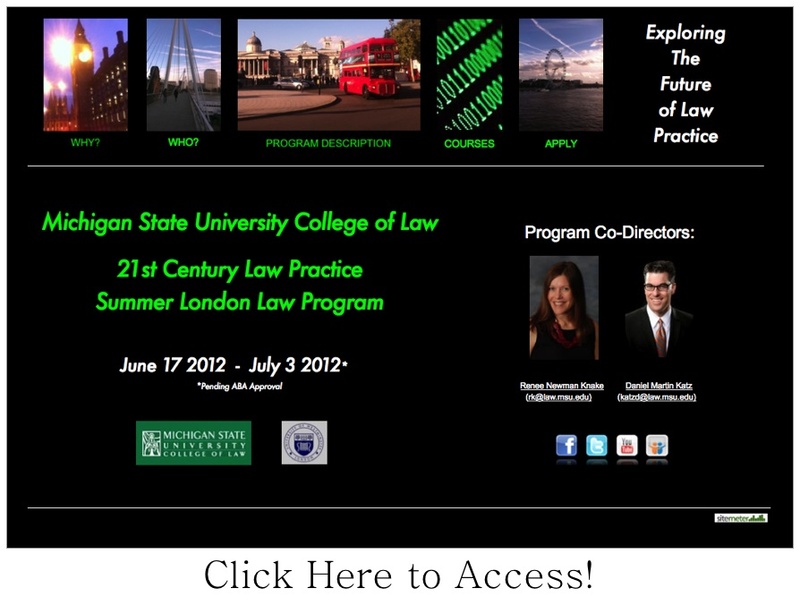 Here at Michigan State University – College of Law we have already begun to pivot. Next semester, I am teaching a version of Quantitative Methods that is infused with information technology, etc. (see discussion here). 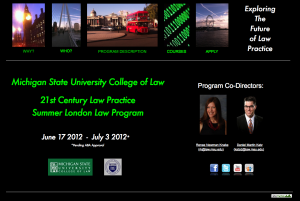 Summer 2012 we will be offering a summer program called 21st Century Law Practice – London Summer Program. (2) Prepare students to become practice-ready entrepreneurial lawyers who can leverage information technology in order to operate more efficiently and to attract (and retain) clients. (7) Forgive Me Science For I Have Sinned – Bridging the Scientific Legal Scholarship and Law Practice Divide? The academic study of law can be a serious scientific exercise — and yeah this science can directly inform modern law practice. Indeed, one of the major goals in starting this blog was to demonstrate this proposition. The lawyer of the future needs to be able to leverage technology to practice law an efficient manner. 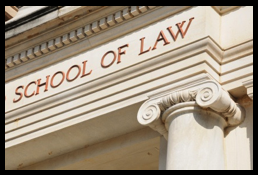 The science and engineering that is needed is the type that would be pursued at an “MIT Style School of Law.” Tech transfer, legal R&D is one of the things that the law school of the future can do to aid law practice. This (among other things) could help restore some of the value proposition and help foster much needed innovation in the market for legal services. What it means to practice law and “think like a lawyer” is not a static proposition. Dan and I have written and spoken on legal informatics many times. Inevitably these conversations come to the same cut-and-paste list of informatics examples from legal search/retrieval and decision making. It’s struck me that these examples fall into two categories. The first category sits firmly in the 20th century, while the second category belongs in the 22nd century. I’ll support my argument below and conclude this introduction with a lead into what I’d like to call 21st century law. The rest of this series will provide living, breathing examples, leveraging new technologies and new paradigms that are useful today, in the 21stcentury. Ask a typical lawyer how informatics affects their practice, and, if you’re lucky, they might mention that salary infographic their friend emailed them a few weeks ago. 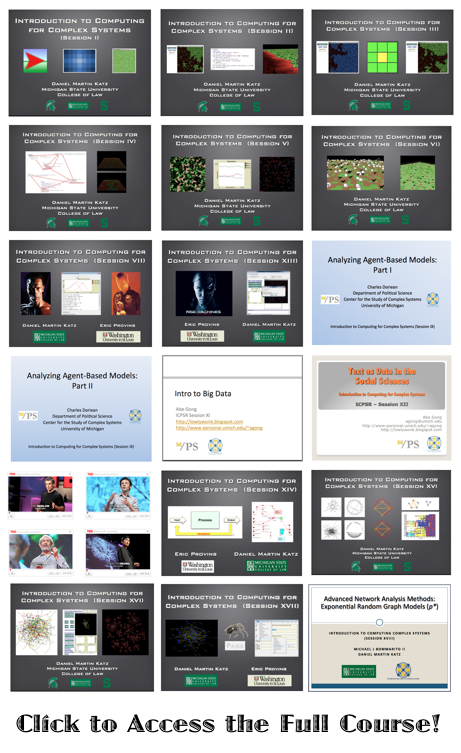 Data, modeling, statistics, and visualization might be seen as cute toys, but not real tools. Ask a typical lawyer how search affects them, however, and they’ll have no trouble producing a list of five-figure-per-seat services like Lexis, West, CCH, or RIA. So why is it that only search has enjoyed such a successful impact on practice? Is it because other informatics tools just aren’t useful? My opinion on the matter is that search is the only informatics tool that fits into the current legal paradigm, which I’ll call the library model – law is a field of humans interpreting words, words live on documents, and documents live in libraries. Legal training focuses on reading and interpreting words and documents. Success in practice depends on locating, interpreting, and communicating information. Therefore, for a new tool to be accepted by lawyers, it must complement this library model to allow lawyers to locate, interpret, and communicate faster and better. From this standpoint, it’s easy to see why search has succeeded – it is a tool easily applied to language that facilitates the traditional library model of law. The library model of law, while Aristotelian in ideals, still conveniently abstracts the underlying world away in an unmeasurable Platonic black box. As such, words, not numbers and functions, are the most convenient way to communicate states. It is hard to argue against this on any practical grounds. Despite the progress of science and the acceptance of measurement in modern society, many quantities integral to legal questions will remain unmeasurable. The best example, of course, is intent. Did he mean to kill her? Did they mean to commit fraud? While we have the ability to detect intent at a vague level through fMRIs, would we ever consent as a society to have “intent implants” that continuously measured and recorded our every impulse? The average gut reaction to Minority Report suggests not. Philosophy aside, we can agree that human language is the most practical medium to practice law, and that search is the most practical tool to facilitate work in this medium. 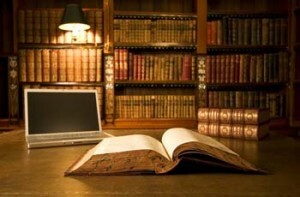 Computers are simply portable, accessible, and easily searched libraries, and the labor of law is still primarily conducted by humans. While technology can improve productivity, our creativity is constrained by the underlying library model of law, as well as the low expectations set by the 1L’s first venture into the stacks of the quiet, dusty library. The second category is best understood through a hope and a struggle: IBM Watson and the International Association for Artificial Intelligence and Law (IAAIL). 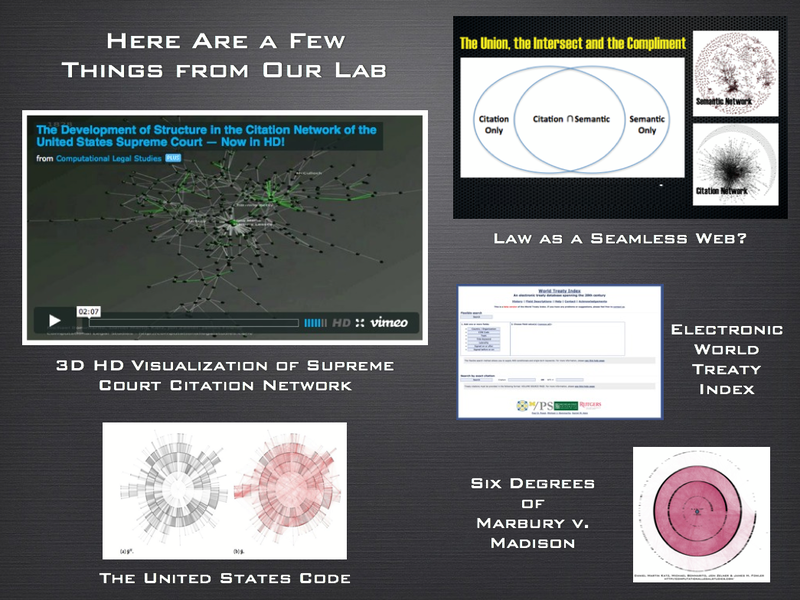 Watson embodies the hopes of 22nd century legal informatics, in which law is a field of computers building and interpreting models to make legal decisions. In the days and weeks after Watson’s victory against other Jeopardy! contents, there was a slew of articles on the automation of information services like law; even the ABA chimed in. Likewise, the IAAIL embodies the struggles and failures of this model. Arguably one of the most forward thinking associations in academia, the IAAIL and its members have been presenting data models and ontologies, search methods, expert systems, and judicial reasoning for more than 30 years. Their approach to empiricism and rationalism in law predates acceptance in many other social fields. Many of their ideas might provide a significant improvement in the quality and cost of legal outcomes in situations ranging from negotation to arbitration to litigation. However, as a participant and former member myself, I will readily admit that the IAAIL has mostly failed to introduce these ideas into the mainstream of legal practice. Experts, not expert systems, still dominate evidence and testimony. Justices and judges, never computers, reason and decree from the bench. Even the elegant models of argumentation and reasoning are mostly ignored by legal educators. The reason for this failure, in my opinion, is that these ideas, for all their worth, do not complement the library model of law outlined above. So long as this is the model of education and practice, many of IAAIL’s ideas will remain just that – ideas, drifting in the clouds (and I don’t mean Amazon Web Services). Progress will come, but slowly and in steps, measured by successes like Watson’s stunning and public expert system. And so we can agree for now that the future is promising, but certainly not here. Computers are not and will not functionally replace humans in most legal contexts any time soon. Balance. Neither humans nor computers alone will provide optimal outcomes. 21st century law must allocate these two assets based on a solid understanding of process workflow and technology. Measure, but not too much. Measure whenever and wherever possible, but avoid promoting measurement when it isn’t the solution. Measurement drives further formalization of law, either by inductively determining better rules or by better evaluating rules. Change, but not too much. The library model of law is a natural paradigm for a species as expressive as ours. However, when we can measure, our languages are often worse approximations than mathematical models and numbers. Focus on cases where accurate, accepted, and easily evaluated models can be built, such as finance, and slowly chip away at the library model through these successes. Aim high. Don’t let expectations based on the library model set your bar for success. Apply and experiment with whatever technology is available to retrieve faster and analyze better. Just because Lexis and headnotes are faster and easier than a trip to the stacks doesn’t mean search and research shouldn’t be faster and better. Sounds pretty easy, right? 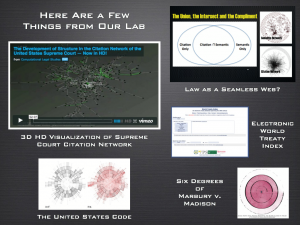 Stay tuned for examples to come, including e-Discovery, search, and legal rule exploration.